Growing up, my mom would give each of us kids a new ornament each Christmas. Carefully chosen, the ornament was intended to be a reflection of something we were interested in or would like. 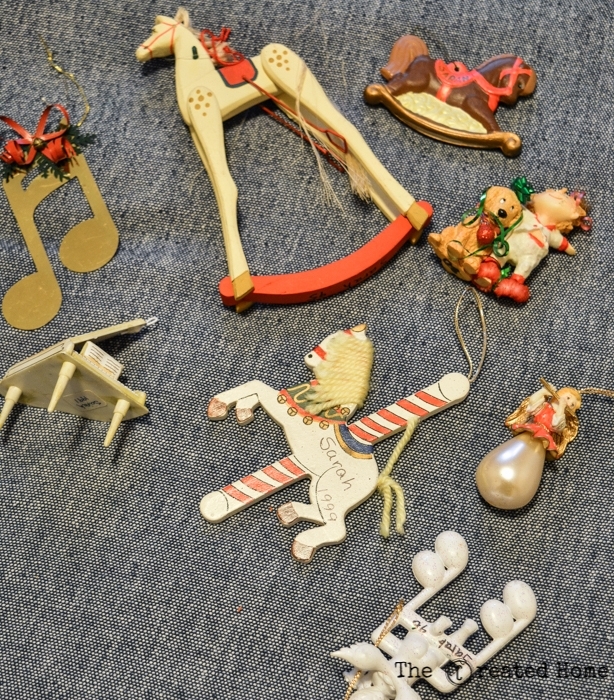 When we got married mom gave each us a box of our ornaments to start our own Christmas trees. I love the thought, and what the ornaments represent. But I never use them. I mean, don’t tell mom, okay? But the old ornaments just don’t fit on this tree, that is filling out with things from my own family. I’ve thought about putting up a smaller nostalgia-type tree, but that has never happened. And yet I still love that idea. So this year I created small wooden box ornaments for each of my kids. The magic of these little ornaments is that they are hollowed out inside to make room for a piece of paper on which I have written (well, typed) some memories of the year personalized for each child. The kids may or may not keep those ornaments, but I’m wagering that the yearly note inside will be something they enjoy finding someday in the future. These ornaments are super easy to make, and don’t cost a lot to do. Want to make some? Here’s what you will need. Here’s a video of the entire build if you like an overview…or if you have no intention of reading the tutorial. I don’t judge. You can use 2×2 pine boards for this, or you can go crazy and pick up some exotic wood turning blocks at your local woodworking store. Both look just fine, though the pine are best painted. Chop the blocks into squares. 2x2s are 1 3/4″ square, so cut 1 3/4″ long blocks using a chop saw, band saw, or table saw. Hollow the blocks using a 1″ forstner bit. This is best done with a drill press. Whether you have one or not just be sure to clamp it down so you don’t send it flying. I went about 1 1/2″ deep. The plugs will need to be cut off or they will take up too much of the hole. I picked these up at Lowes. I used a band saw, but a hack saw would work as well. You’ll want to drill out the middle of the hole with a 1/4″ or so bit, That will allow you to pop them back out once they are seated in the ornaments. Alternately, I just found these on Amazon that have a pre-drilled hole, which would have been kind of convenient. You can use a sharpie to draw a line that will make it look like the box has a separate lid. Or, if you want to make it a bit more realistic, use a router with a fine bit (I used a v-bit because it’s what I had around), and etch a line around the top. I used a wood burning pen to darken the lines. A sharpie would probably work just as well I suppose. I used mineral oil on the exotic woods, and paint on the pine. If you are anything like me, this might be the hardest part. I used this tutorial on YouTube. The ribbon was like $1 at Joann Fabrics, so I got a ton. But then, I made a bunch of these for use in future Christmases. Oh, here’s a helpful hint: Be sure to put your note inside before tying with ribbon. Because it’s a bit of a bear to get into afterward. Hang the boxes with ornament hooks. That’s it! I love Christmas projects that have some deeper meaning. My Christmas star from a couple years back is still a favorite. But this project is a simpler one that can be made in a day or so. Happy building, and Merry Christmas! The little boxes are so cute/ I have made lots of 3″-4″ square boxes that were 2″ high with my scroll saw. I will make lots of these – like yours – for the 9 great-grandchildren. I only have about 2,000 board feet of various lumber so, there will be no expense. Thanks again for the great little boxes. Think I will stuff Happy Meal gift certificate in them. Sounds like a great idea! I hope turned out well for you! Such a cute idea! I love the notes inside!